Peter Britt #3 | Historic Jacksonville, Inc.
Peter Britt’s home and gardens on 1st Street in Jacksonville, originally known as Britt Park, was the cradle of the orchard, viticulture, and ornamental horticulture industries in Southern Oregon. It was a regional attraction a quarter of a century before Ashland’s Lithia Park was established. The original gardens boasted nearly 300 varieties of cultivated plants, many acquired by mail order. 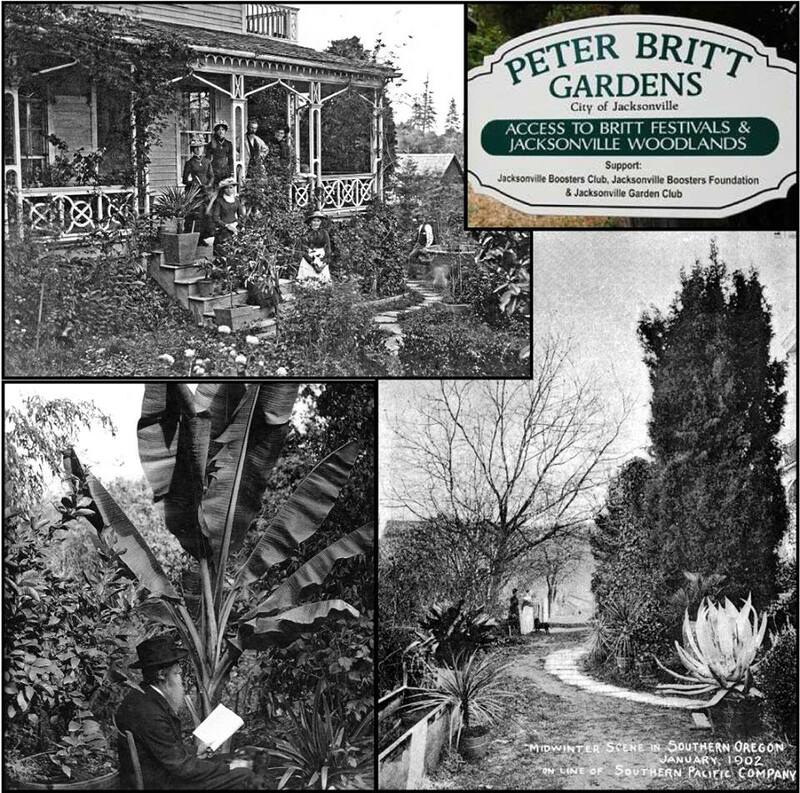 What started as utilitarian plantings of pear and apple trees, grapes and vegetables, evolved into lavish Victorian gardens documented by Britt in his photographic work and featured in Northwest promotional publications in the late 1800s. After the family died and Britt’s house burned, the gardens fell into disrepair. The restoration of Britt’s Gardens is an on-going project of the City of Jacksonville, the Jacksonville Boosters Club and Foundation, and the Jacksonville Garden Club.